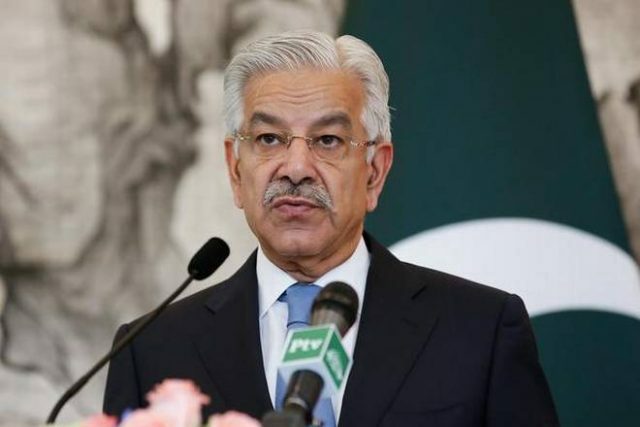 ISLAMABAD: The Supreme Court on Monday questioned former foreign minister Khawaja Asif if had used his authority to get a raise in salary while being employed by a UAE company or was it based on performance. The top court’s three-member bench headed by Justice Umer Ata Bandial inquired this while hearing Asif’s appeal against disqualification from holding public office. The appeal was filed by Asif against the Islamabad High Court’s verdict that disqualified him on April 27 under Article 62 (1)(f) of the constitution for failing to disclose his employment in a UAE company and the monthly salary he was receiving. The judge inquired if the minister’s salary raise — from AED9,000 to AED30,000 and then AED50,000 — was based on his performance. The former minister’s counsel Munir Malik responded that it was a result of good suggestions that his client had made. During the hearing, Justice Bandial remarked that Asif could be made a federal minister if the verdict on his disqualification was overturned. Asif’s legal counsel adopted the stance that he had submitted written responses. The accusation of hiding Asif’s Dubai bank account was not part of the petition and was levelled against his client later, Malik told the court. He further said his client was not accused of corruption. Justice Faisal Arab, part of the three-member bench, observed that the former minister had shown in his nomination papers that he did not receive any salary. The petitioner’s lawyer responded that his client’s salary was part of the foreign earnings he had disclosed. The hearing was adjourned till May 31.